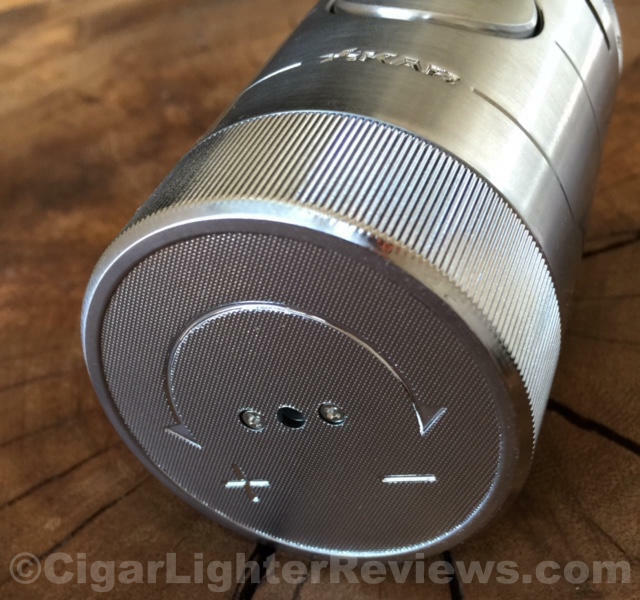 Leave it to Xikar to bring yet another fresh look to the world of cigar lighters. Today's review is a close look at the quad flame Volta, one serious tabletop lighter. The Volta is brand new for 2015, first unveiled at IPCRR. Not sure where to start....this thing is a beast! The Volta weighs in at just over 1 pound. Yep, not a mistype, 1 pound! 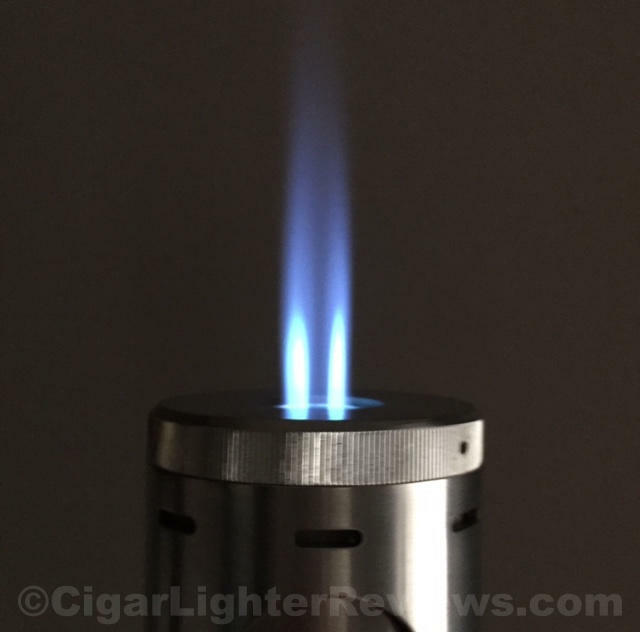 Safe to say Xikar made an extremely well constructed tabletop lighter. Volta's body is all metal, no plastic. 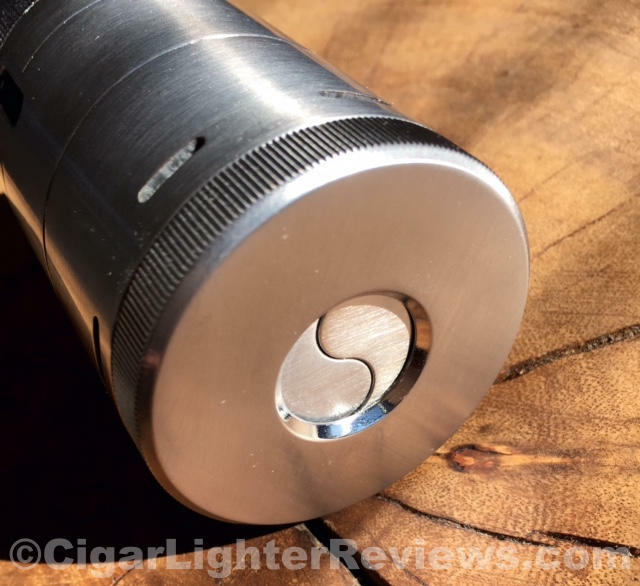 This stout cylinder shaped lighter is not what I would consider a "portable" lighter. 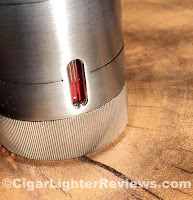 Meant to be more of a dedicated lighter to highlight your favorite spot to chill out and enjoy a quality cigar. There is camera aperture influenced lid, once rotated opens up to reveal the strong quad jets. Xikar did not seem to miss a beat in the attention to detail department. There is a large oversized pusher, once depressed fires up four raging jet flames. Something I have been seeing more of in the industry is a colored fuel gauge window. Big fan of this, much easier to to see the fuel level. Volta's fuel gauge turns red to the level of current butane. As with the Turrim recently reviewed, Xikar used a ratcheting fuel adjustment. Great concept, I even tend to find myself wanting to use the ratcheting just for fun. The only negative if I was being nit picky is with the aperture lid. Mine has two small black screws (wish they were silver in color) having a small edge that is felt if I run my fingers over. Not a big deal, but I did notice. 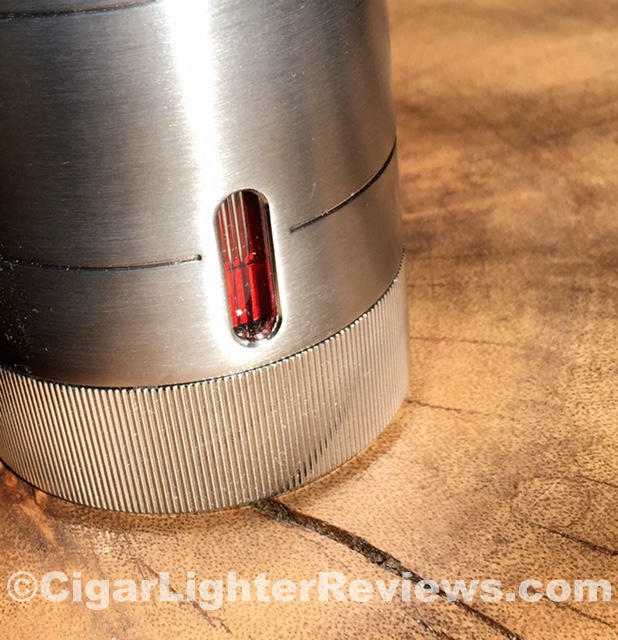 It likely goes unsaid as with most Xikar lighters, Volta is extremely easy to refuel. Volta's heft comes with a bit of a hefty price at a suggested $149 for standard finishes. Personally, in lighter world well worth the price of admission. There is a Room 101 version for $10 more, looks amazing! 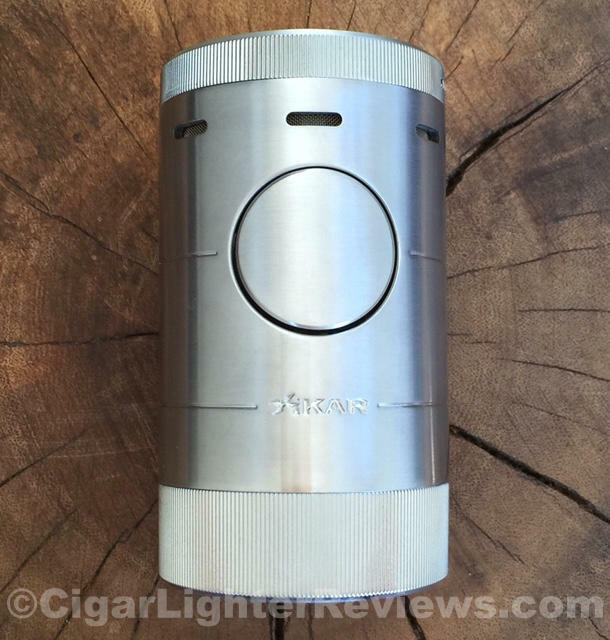 If you are looking for that final center piece lighter to highlight your smoking room, Volta is at the top of list.